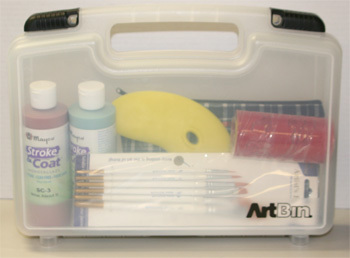 7" x 9.5" x 2.5"
7.5" x 12" x 3.5"
7.5" x 13.5" x 3.5"
5" x 12" x 6"
7" x 13" x 8.5"
The Xiem Art Bag is designed for potters, artists and students who need an easy-access, efficient and breathable solution to ceramic tool storage. 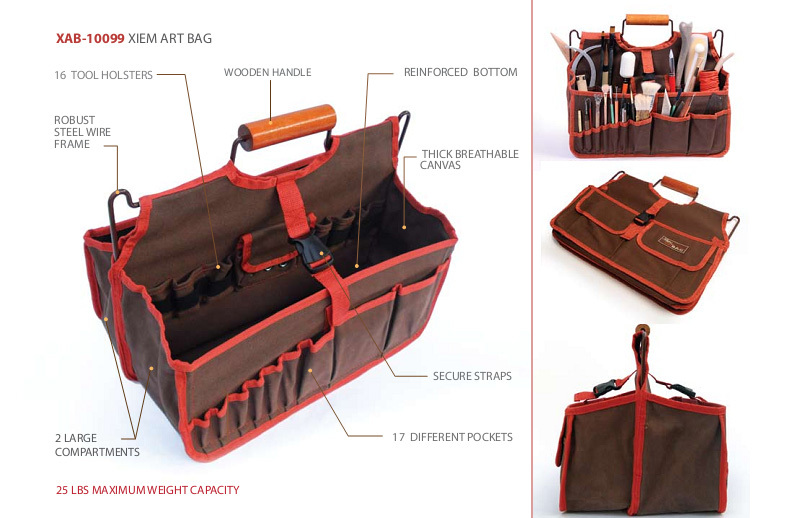 Built around a robust metal frame, the thick canvas bag features 2 large compartments, 16 holsters, and 17 pockets of various sizes - ideal for brushes, trimming tools and any other secret tools you stash in your bag of ceramic tricks. 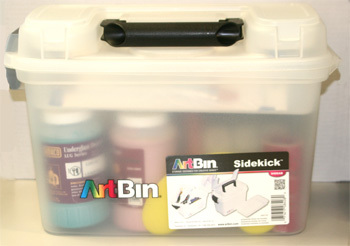 2 burly straps on each side keep larger tools from falling out, plus the canvas-reinforced plastic bottom won't let anything sharp poke through. 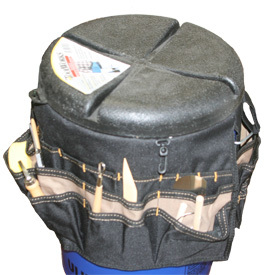 Add a tough wooden handle and a load limit of 25 lbs, and Xiem guarantees you will love it too. Size: 16" x 9" x12"
The Artisan Bucket Stool has been designed with serious potter in mind. 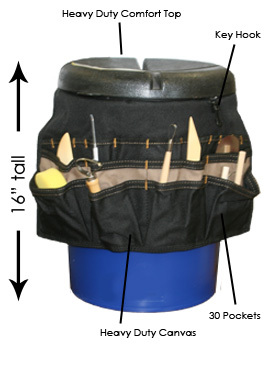 This rugged lightweight stool comes with a 30 pocket canvas pottery tool holder that has been designed to give the potter an organized way to reach all of the sculpting tools they would use in one throwing session, without having to get up from the wheel. 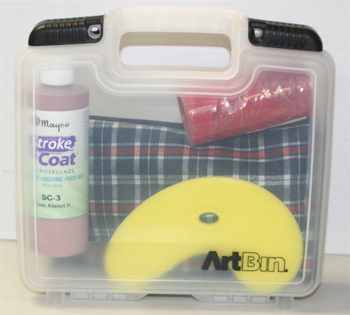 The best part is that when you are finished with your project, you can easily store everything inside the tool holders, or inside the stool itself. This makes clean up a snap! 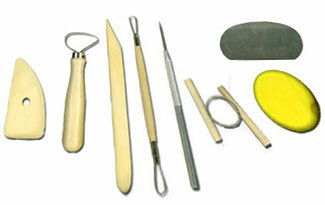 Clay can also be stored inside the stool, making it a convenient and practical way to keep clay moist. The lightweight, contoured plastic lid has been made as a nice alternative to the traditional narrow seats on other pottery stool designs. 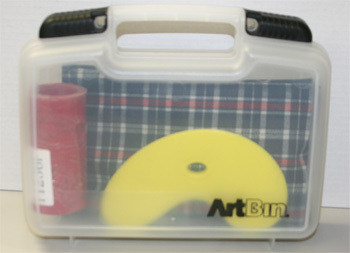 The Artisan Bucket Stool is a perfect fit for students and teachers. 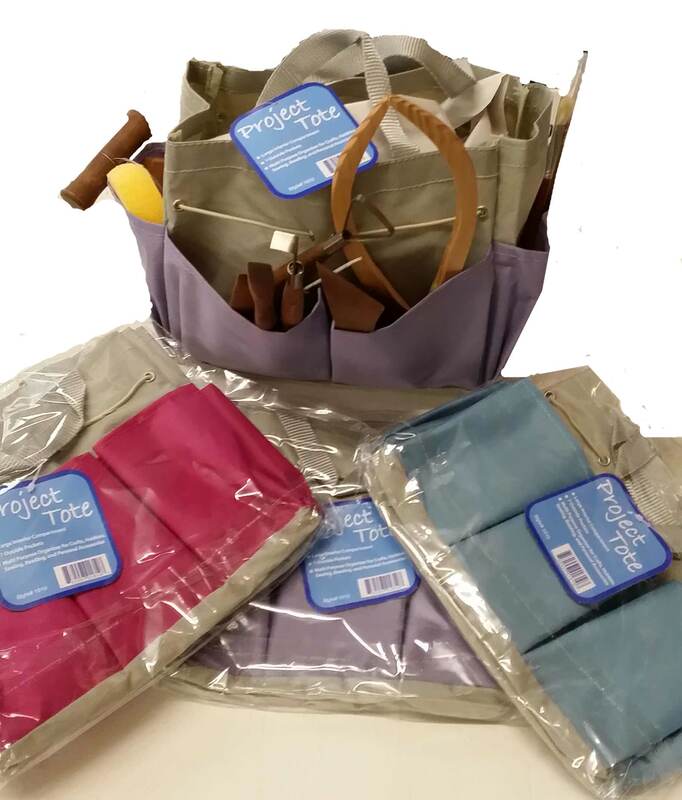 Students will love being able to transport projects to and from class with ease. Teachers will appreciate the economical alternative to other, more costly pottery stools. 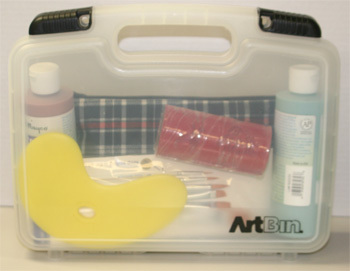 Package includes bucket, contoured seat, pottery tool belt, and 8 piece pottery tool kit.